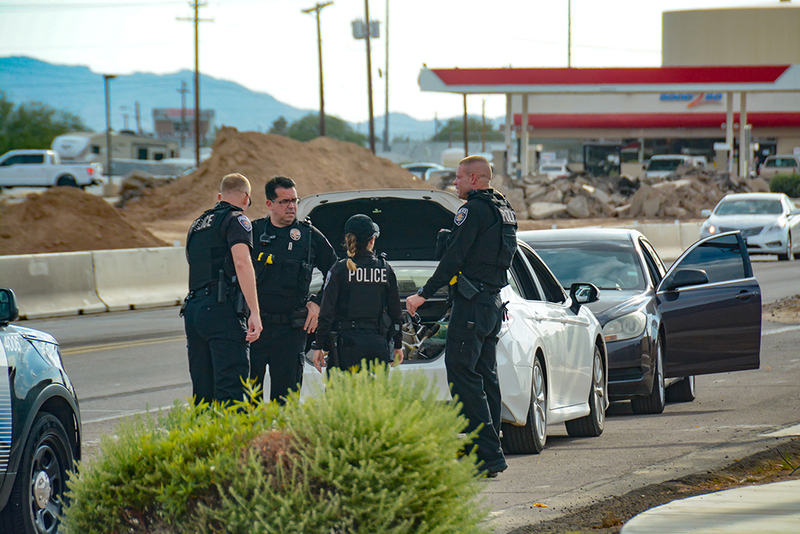 Maricopa Police Department took a man into custody after stopping a vehicle on Honeycutt Road in the Heritage District around 5 p.m. Friday. Area law enforcement agencies were on the lookout for a stolen rental car reported by the Tempe Police Department. MPD spotted a vehicle matching the description and pulled it over after it exited Pershing Street in a high-risk stop. Officers initially had guns drawn. The male driver was taken into custody without incident, according to MPD.